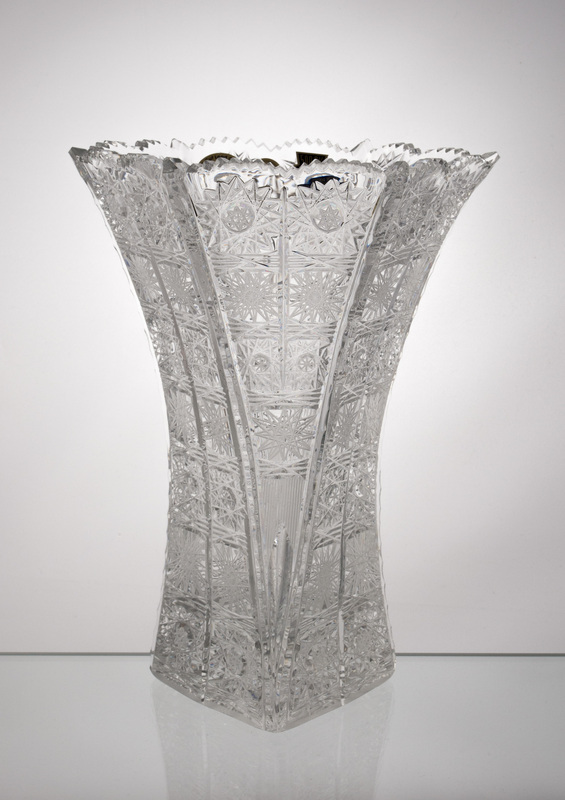 Bohemian cut crystal is a traditional Czech glassmaker’s invention. At the end of the 18th century it was found that, thanks to the addition of Lead, glass acquires unique optical properties. Thus was born the Lead cut crystal. For its lightness and beauty, cut crystal is admired and respected throughout the world. Containing 24% of Lead ensures its gorgeous shimmer and high quality. Lead crystal, especially when hand-cut, has much higher refractive index than the glass has. This ensures its higher refraction and maximum suitability for decorative purposes. Lead cut crystal will brighten up any interior. We carry various colors, shapes and cuts. Traditional cut – so called PK 500 or 57001 cut. This is the all-time bestseller. Pinwheel cut – more dynamic cut with the star in the middle. Contemporary cut – various modern, both simple and intricate cut decors. Gold paint enameled crystal – gilded crystal with raised enamel paint. Colored cut crystal – overlaid or cased crystal in various colors and cuts. Art Nouveau crystal – decorative glass of the 19th and early 20th century also called Art Deco crystal. We offer worldwide Fedex delivery, reasonable prices, quick delivery and full insurance.